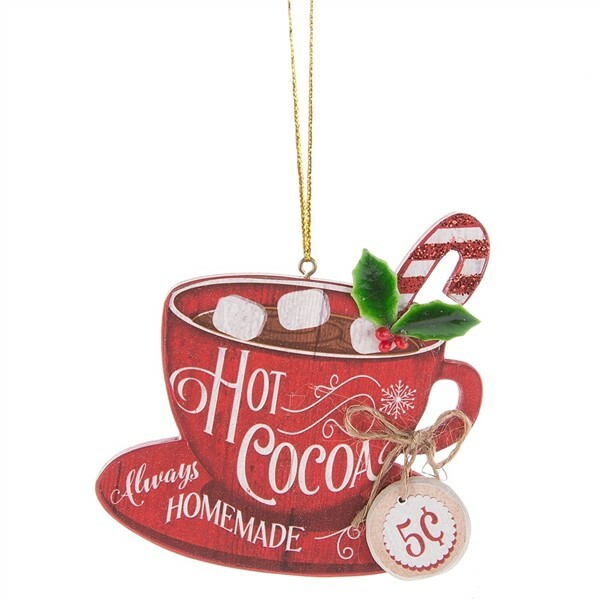 For all you hot cocoa lovers, a sweet Christmas or winter ornament that can also be a small sign. It features a faux holly sprig and a hanging 5 cent tag. Made of MDF, metal string and plastic, it is approx 3.625" x 3.75" x .375". Can't you taste the chocolatey goodness with marshmallows and a candy cane?